And finally for the new year’s burst, a new piece for the Telegraph which looks more broadly at the threat from terrorism and how it is likely to evolve in the coming year and future. Terrorist activity in the UK last year was dominated by a significant shift both in volume of successful incidents, but also their nature. From networked plots, or large-scale attacks directed from abroad, it is now isolated individuals or small cells – some directed, some instigated and some independently latching on to ideologies – that have become the heart of the terrorist threat that the UK faces. After a period of relative calm with sporadic incidents, in 2017 the country was struck by five terrorist attacks of varying effectiveness. Yet, with the exception of the atrocity in Manchester, it is not clear that any of the plots were products of a larger effort. Given that it involved three people, the attack near London Bridge in June was by definition a conspiracy, but it is not clear that the perpetrators were being directed by others in launching their attack. The much vaunted menace from foreign terrorist fighters being sent back from Syria and Iraq has not so far materialized, leaving security forces instead countering this confusing new threat made up of isolated, or loosely connected individuals who use low-tech methods – such as the vehicle and knives used at London Bridge – to seek to murder fellow citizens. It is often not clear how closely these individuals are genuinely linked to terrorist groups, with mental health or other issues often emerging as the principal driver of action, with the terrorist ideology sometimes an excuse superimposed on top. This is likely to remain where the core of the threat remains for the immediate future and while groups may attempt to harness the interconnected world, using increasingly creative digital methodologies to try to launch complicated attacks, this will remain difficult to deliver. Networks require some degree of communication, providing useful fissures which attentive security agencies can take advantage of. The threat of returning foreign fighters will continue to pose a menace, but difficulties of getting back and then organizing will make it hard for groups to rely on them as effective attack vectors. The lone actor threat has deep roots in the UK, going back to the late-2000s with the separate cases of Andrew Ibrahim and Nicky Reilly in 2008, but what was once considered peripheral has now become central. This is the result of terrorist groups adapting to security approaches. Unable to get large coordinated plots through, they push individuals, or espouse ideas and methodologies towards lone actor attacks. In addition, we have seen a growing number of people reacting to the loud volume of terrorist ideologies and latching on to them as a way of expressing their anger at society, having at best a fairly limited link or sophisticated understanding of the group for which they purport to be committing terror. This is likely to continue and become more complex, likely spilling into other ideologies beyond violent Islamism. A by-product of the internet is that people can now develop and advance intense beliefs with a community from the calm of their own homes. Online, they can also connect with others who share these ideas, or develop complicated micro-ideologies. Pair this with the growing accessibility of fairly dangerous technology and simple attack methodologies, and you have the potential for something shocking to happen. At the same time, the echo chamber of the internet and an increasingly polarized public conversation has shifted the bounds of what is acceptable for open discourse. This has mainstreamed and escalated some nasty views on foreigners and others in society who do not share the same perspectives as ourselves, giving people with violent inclinations a sense of justification for acting on their impulses. We have already seen reactive terrorism in the form of the attack on Finsbury Park mosque, the murder of Jo Cox and some of the sectarian murders within the Muslim community – and such acts of violence only serve to inspire others. Looking forward, the nature of terrorist threat is only going to become more complex as the global picture continues to be upended by demagogic leaders. The world remains an unstable place. The increasingly tense confrontation between Saudi Arabia and Iran will create problems globally, a resurgent al Qaeda has not given up, and ISIS is seeking out new battlefields to re-establish itself. The grim roster of attacks over the holiday period – Egypt, Afghanistan and Russia – shows the diversity of locations where ISIS has some resonance, while the full effect of President Trump’s recent moves in Israel are also still to be seen, but are guaranteed to awaken global anger around the Palestinian cause. And all of this is just to focus on the narrow lens of what is going on in the Middle East; the world is littered with unresolvable problems that might suddenly shock. Just look across the water to Ireland to see how protracted terrorist problems can drag on for generations with little evidence of slowing down or going away. This all paints a bleak picture at the start of a fresh new year and it is worth stopping a moment to recognize a more positive side. 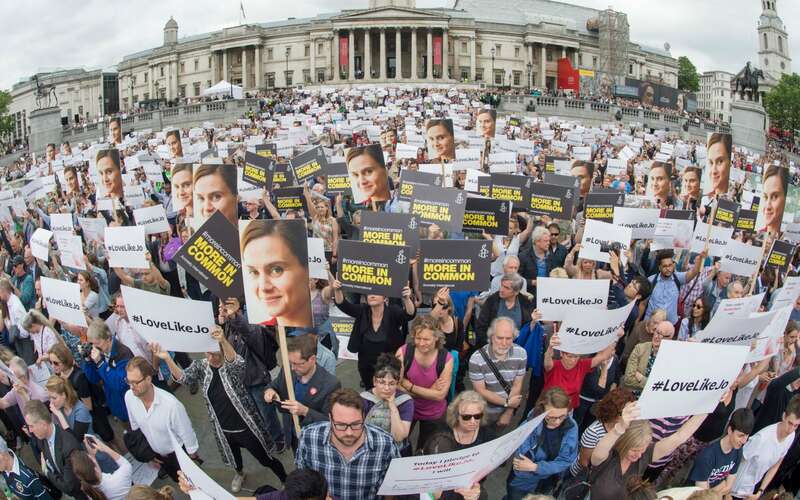 Notwithstanding this past year being a particularly grim one in terms of attacks, the UK has not faced a large-scale atrocity on the scale of the London bombings of July 7, 2005, when 56 people died. The attacks we have suffered are for the most part of a low calibre, driven by individuals of limited resources and ability. Although, of course, none of this is to reduce their impact and the pain and suffering of every family who has lost someone or seen someone’s life irrevocably changed. But the changing picture is in part a testament to the effectiveness of the security apparatus that is in place, which – while clearly in need of some adjustment to reflect the changing nature of terrorist activity – has been able to protect us from around 10 attacks this past year. Terrorism will not go away in 2018 – and it may seem to get worse and more confusing. We need to move forward bearing this grim truth in mind, while all the time focusing on making our societies more resilient against the brutal atrocities terrorists cast at us. This will help insulate us from their success and ensure that they do not achieve their goals of tearing our society apart. Forgive me if I’m wrong, but I’ve always presumed that lone wolf attacks are generally easier to execute because it’s just one person carrying out the attack. But that network attacks tend to be quite a lot more dangerous, especially is multiple attacks are orchestrated at the same time. There are numerous exceptions obviously.